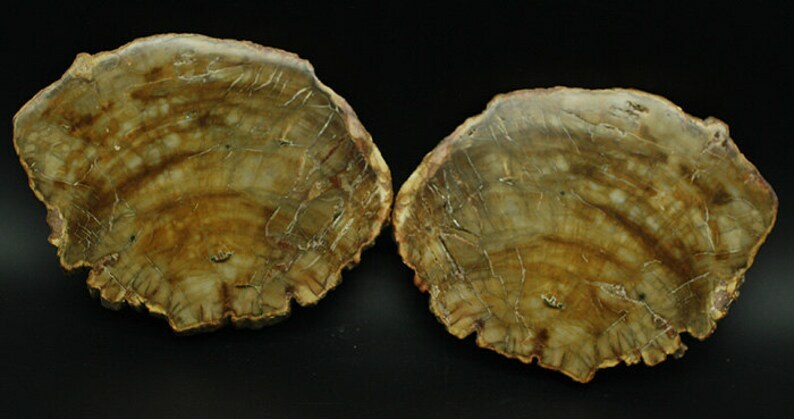 A beautiful matched pair of polished slices through an entire log of Petrified Wood from Madagascar. Bark all the way around. Each one measures 13.8 x 10.5 x 1 cm., 5 1/2 x 4 x 3/8 inches.